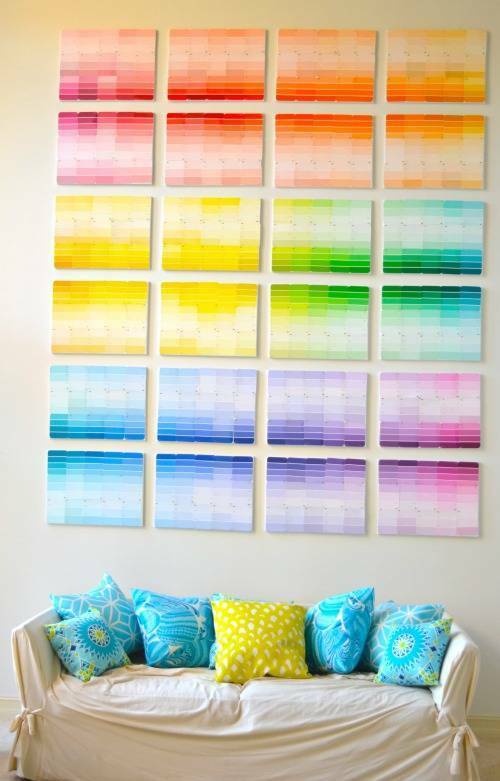 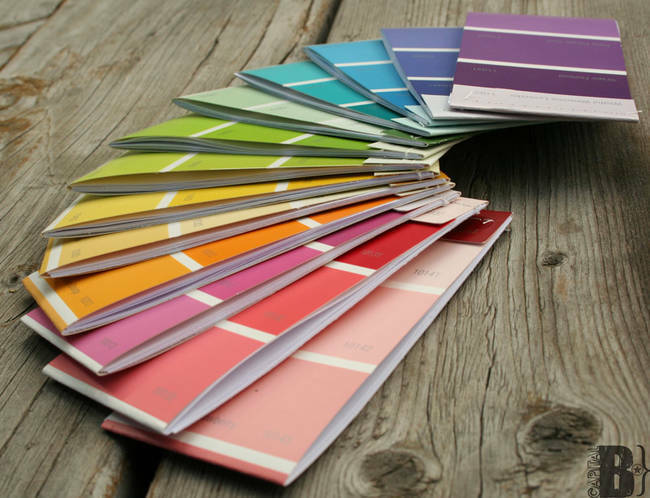 Create a paint chip wall. 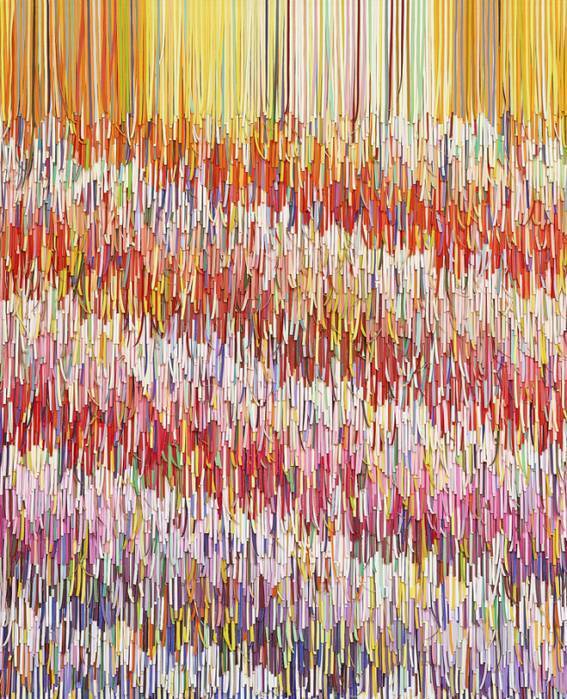 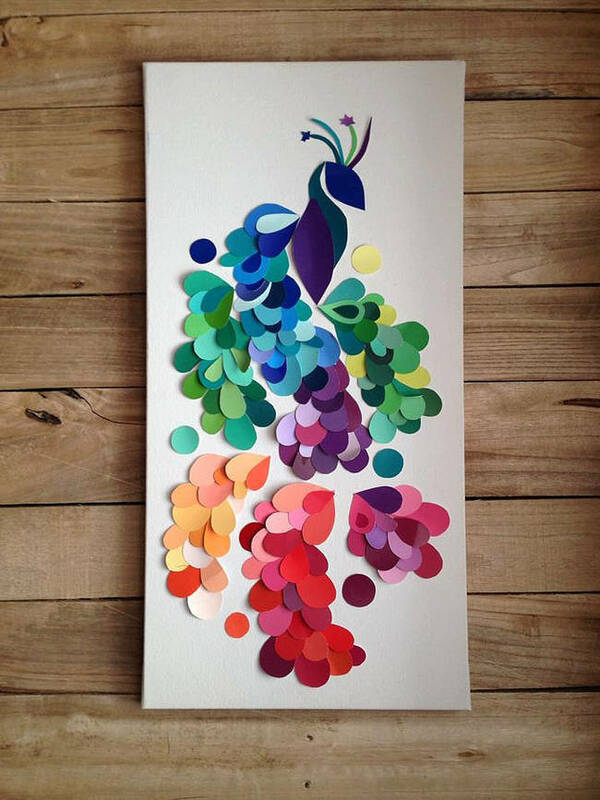 Create your own gorgeous work of abstract art. 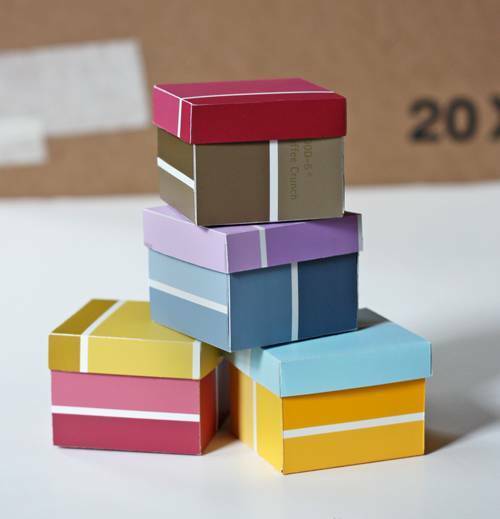 Make your own tiny gift boxes. 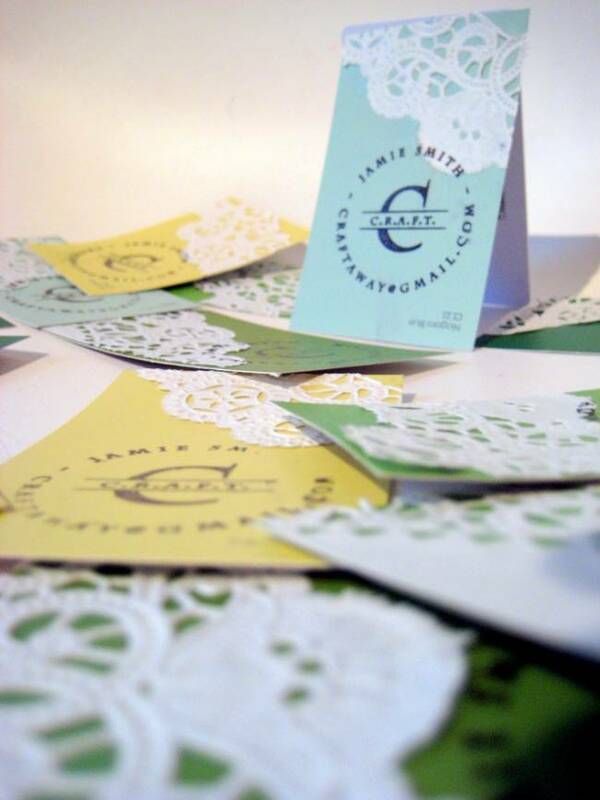 Make some creative business cards! 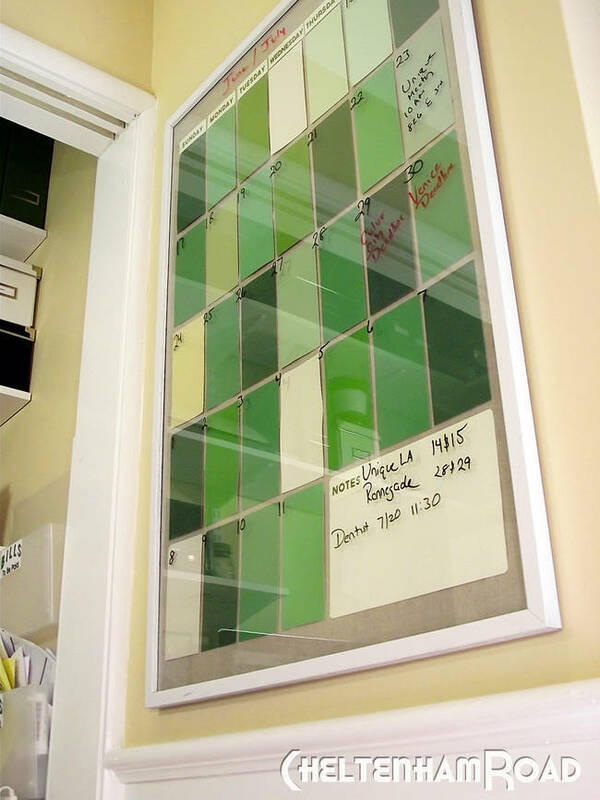 Make an amazing dry erase calendar full of color! 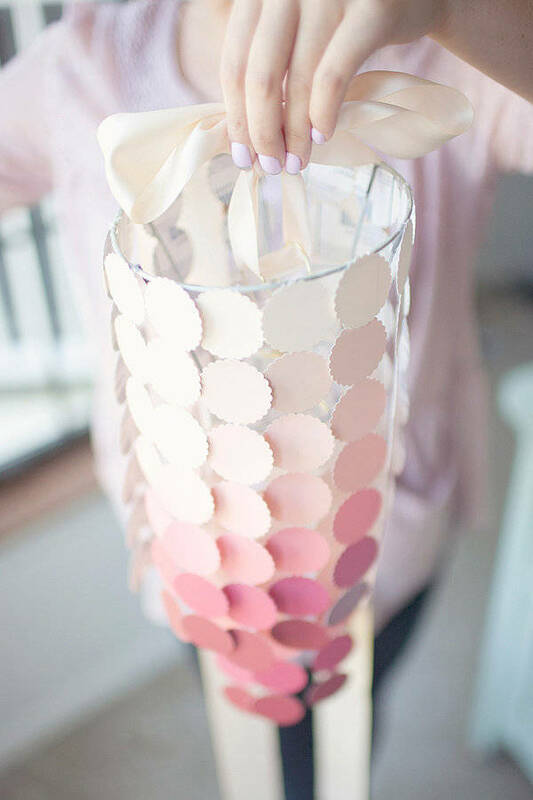 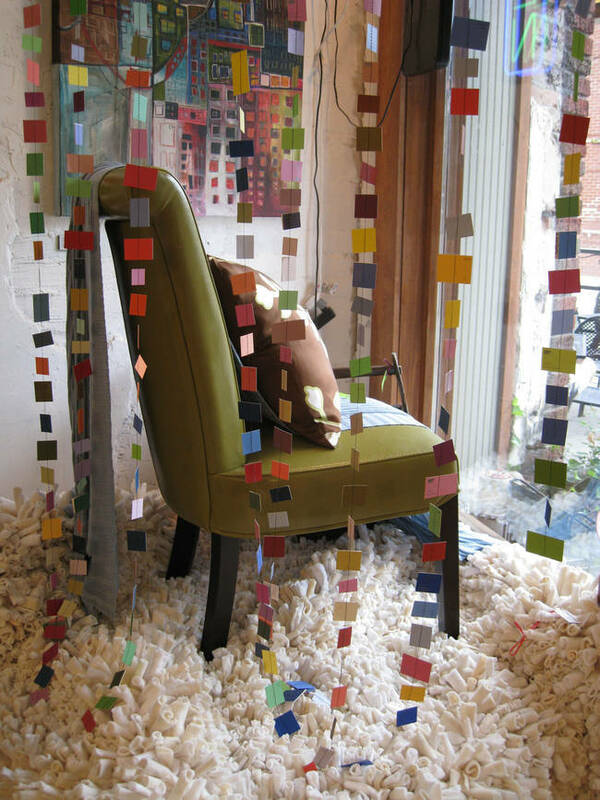 A fancy DIY Paint Swatch Chandelier. 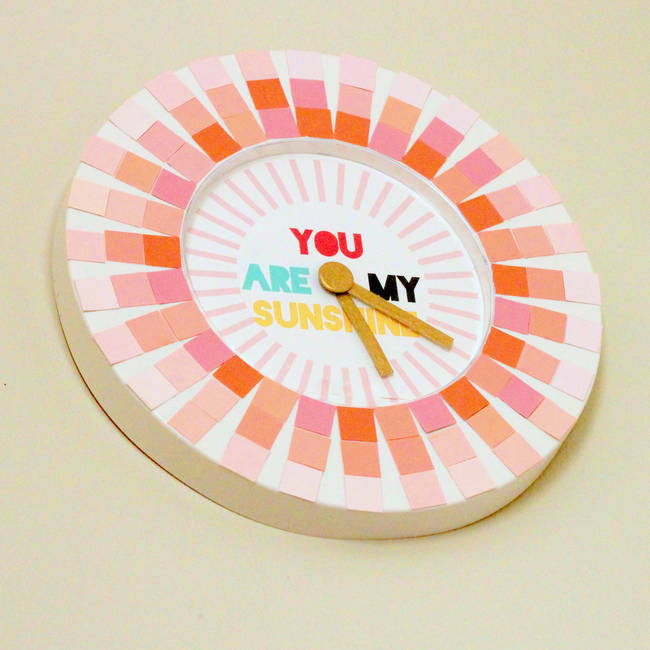 Makeover your clock. 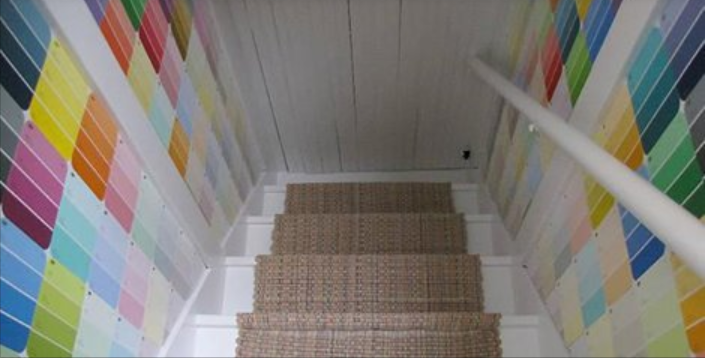 This was a regular white clock from Ikea before this transformation. 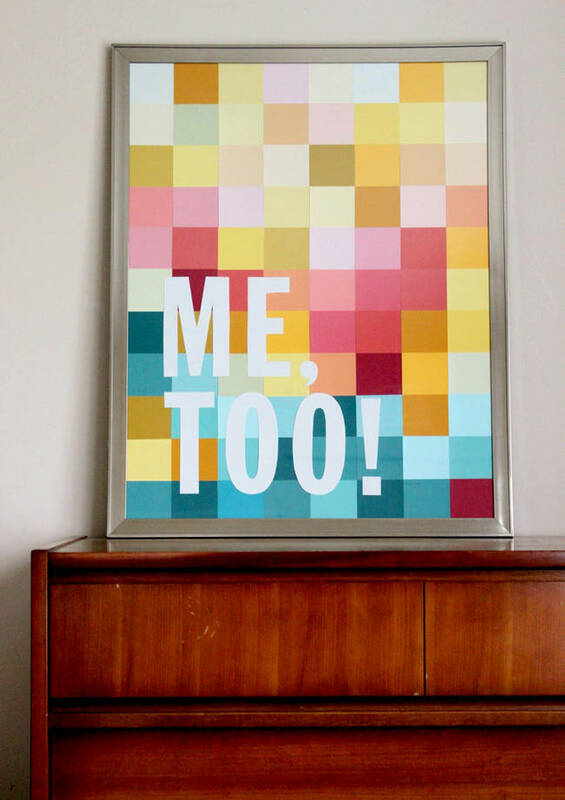 Create your own modern wall art. 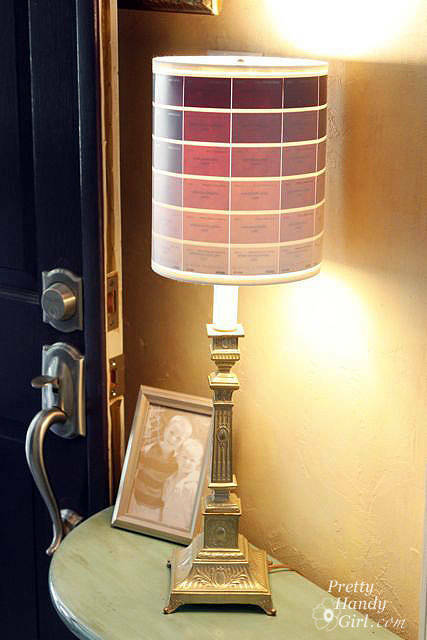 Create your own paint chip lamp shade. 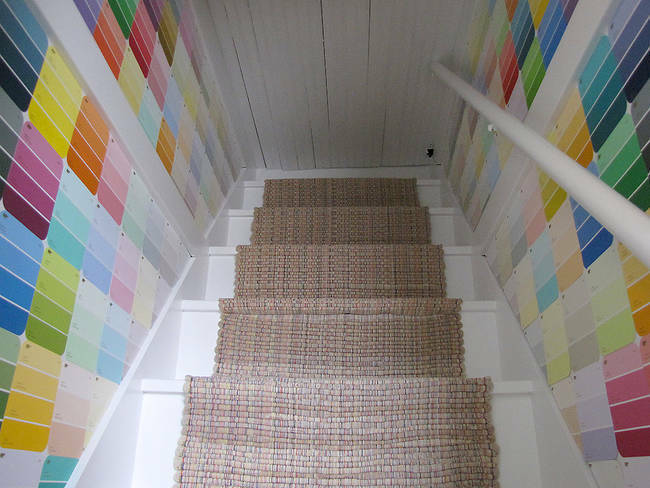 A Psychedelic Makeover for your staircase! 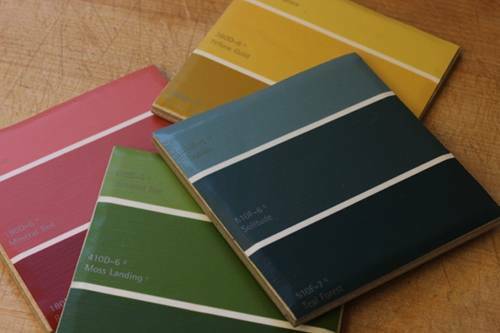 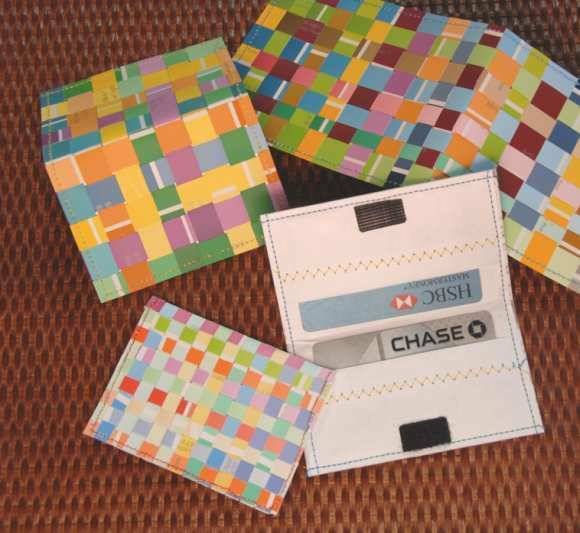 Use paint samples to weave together to create the cutest credit card holder. 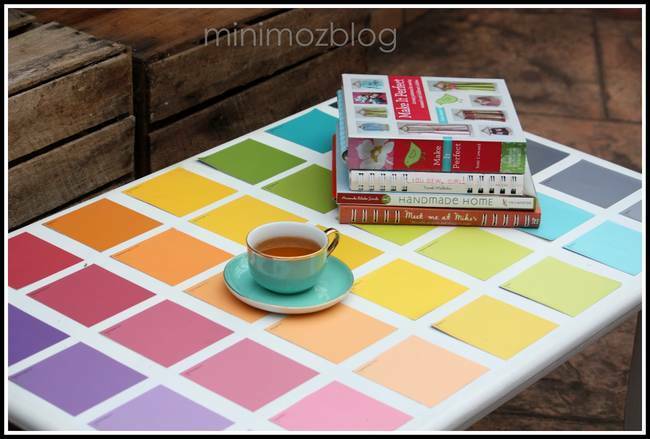 Create the coolest coffee table ever. 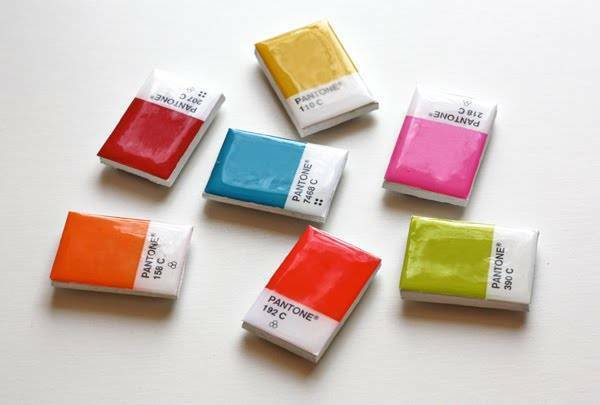 This is The Only Way I’m Making Popcorn From Now On!